Let’s talk about tipping in France. It’s been a weird couple of days. First, we get chased by a ferret on the street while walking home from dinner. Then the Jehovah’s Witnesses rang our doorbell far too early on a Sunday morning and to top it off, a bad three-car accident happened just outside our house. The car actually crashed into our neighbor’s house in a bad rainstorm. Anyway, forget all that. 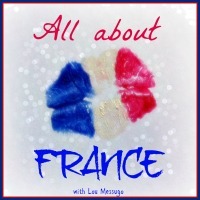 Today we’re talking about tipping in France. Whenever we head to the U.S. on vacation, the American tipping culture becomes apparent from the moment we step off the plane. Taxi drivers, waiters, bellhops and more all get their share and it’s something normal for me, but not for Tom, since tipping in France is very different. Do you tip at restaurants in France? Or in general? And if so, how much? When friends and family come to visit, they always ask about tipping in France. For Americans, who have grown up with tipping pretty much anyone who lends a hand/provides a service, it can feel weird to NOT leave a little something when out to eat, at the salon, etc. Tipping isn’t optional in the US and is seen as the norm, so what is tipping in Paris like? 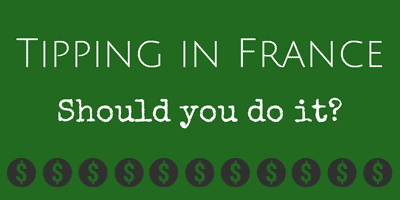 Generally speaking, do you tip in France? Not exactly. But hold on, it’s not that simple. 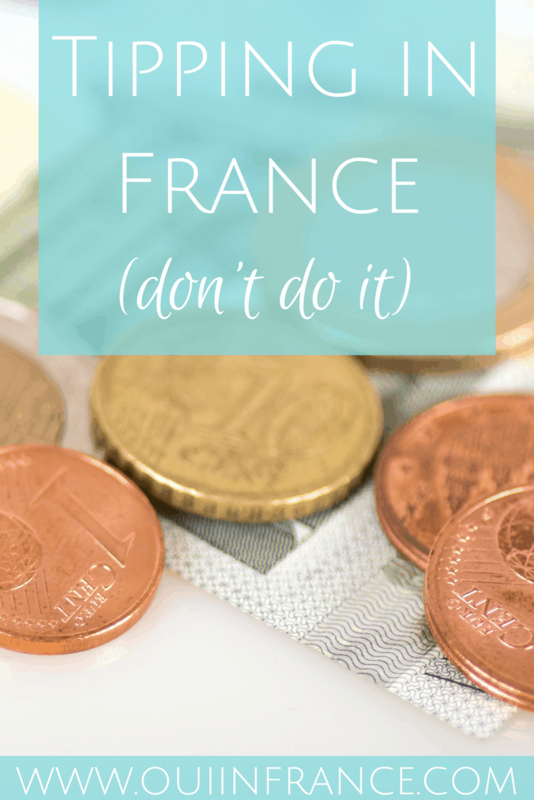 If you’re going to France on vacation and want to know about France tipping, how much to tip in France, and when you should tip in France, here’s what you need to know. First, let’s take into consideration that in the U.S. waiters and many others in service professions depend on tips to earn a livable wage. Servers are paid next to nothing in the U.S. and bust their butts to be friendly and attentive. And why not? If they want a good tip, providing an excellent experience for the customer is key to earning a living. In France, waiters are paid a livable wage and do not depend on tips, nor do they go out of their way to give customers the same service we’ve come to expect in the USA. That’s not to say they won’t provide good service. It’s just not focused on the tip. Generally, French waiters aren’t going to tell you their name and check on you multiple times throughout the meal and keep refilling your water. They do their job appropriately — what’s normal for French culture — and get paid for it. Do you tip in Paris restaurants or anywhere in France? The short answer is no. Well, not to the extent that you would in the USA anyway. But it’s completely at your discretion. Keep in mind that the service and tax are both included in the price you see on the menu (indicated by the words service compris, and it’s 15%). I repeat, the tip is already included. 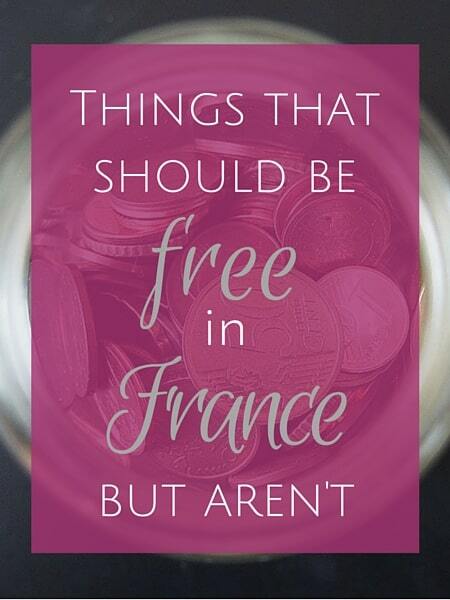 Keep that in mind when you’re considering tipping in France. If you leave additional money on the table, you’re tipping twice. Leaving a few euros for a particularly great meal/great service is always appreciated but never expected. If you decide to tip, just leave the coins in the plastic tray with the receipt on the table. It’s perfectly fine to round a bill up if you had good service like leaving 40 if the bill was 37. You can go a little higher at a particularly fancy restaurant where you had a wonderful meal. But it would be unusual to leave a 20%, USA style tip at a mediocre casual restaurant, so don’t do that unless you really feel compelled for some reason. For a simple coffee or drinks at a cafe, feel free to round the bill up to the nearest euro. So a bill of 4.20 can be rounded up to 5. French people do round up for coffee and drinks and this is part of France tipping culture, so feel free to do the same. On the other hand, don’t feel like you’re a cheapskate if you only pay the total on your bill. At a casual restaurant, many French people pay the bill by walking up to the register, paying with their card, and that’s it. Waiters don’t generally bring the bill unless you ask, and if it’s busy, it’s easier to just get up and walk to the register to pay. After doing so, French people don’t run back to the table to leave cash or add a gratuity to their card. In most restaurants (outside of touristy areas), there’s no line item on the credit card receipt to add a tip. If your bill is an even 40 and you only have 40 on you, it’s fine. Really. 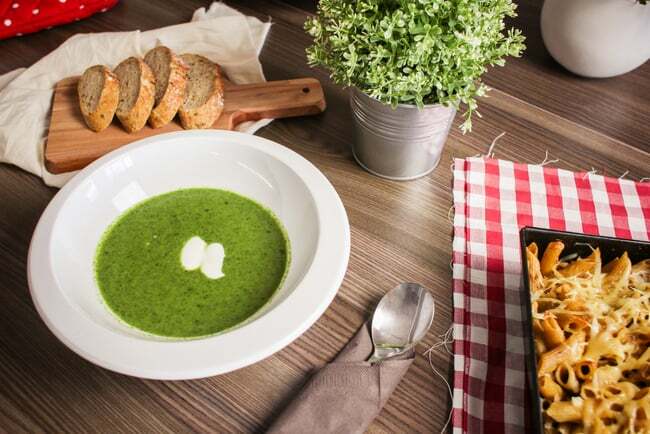 As a foreigner, not tipping in France may feel weird, so always do what you’re comfortable with, but as I mentioned, many French people don’t leave much of a tip beyond a couple of euros for a delicious meal. This stands in sharp contrast to the tipping culture in the US. In the US, even if service was sub-par, if you were served an edible meal, it’s customary to leave 20% for the server. In France, 20% would be quite unusual unless you were at a really nice restaurant and someone went way above and beyond. A few euros extra is already generous. Tipping at a restaurant in France is NOT expected at all and many French people never leave anything and that’s totally OK. Your call. You’re not stiffing the waiter if you only pay the amount on the receipt. Tom’s note: When paying by card, many times you just get up and walk to the register to pay because it might be a little bit of a wait to have the waiter come to you, especially if it’s busy. You may see a tip bowl or jar there up at the front and you can leave a few coins to be shared among the waitstaff. At the chain La Boucherie, they have a tip bowl in a shape of a cow if I remember correctly, and when a customer pays his check and puts coins in the cow, it’s a big deal. The waiter rings a bell and all the waiters in the room say out loud, “Personnel ! MERCI !” So keep an eye out for a tip bowl if you’d like to leave a few coins on the way out. That type of tipping in France is quite common. 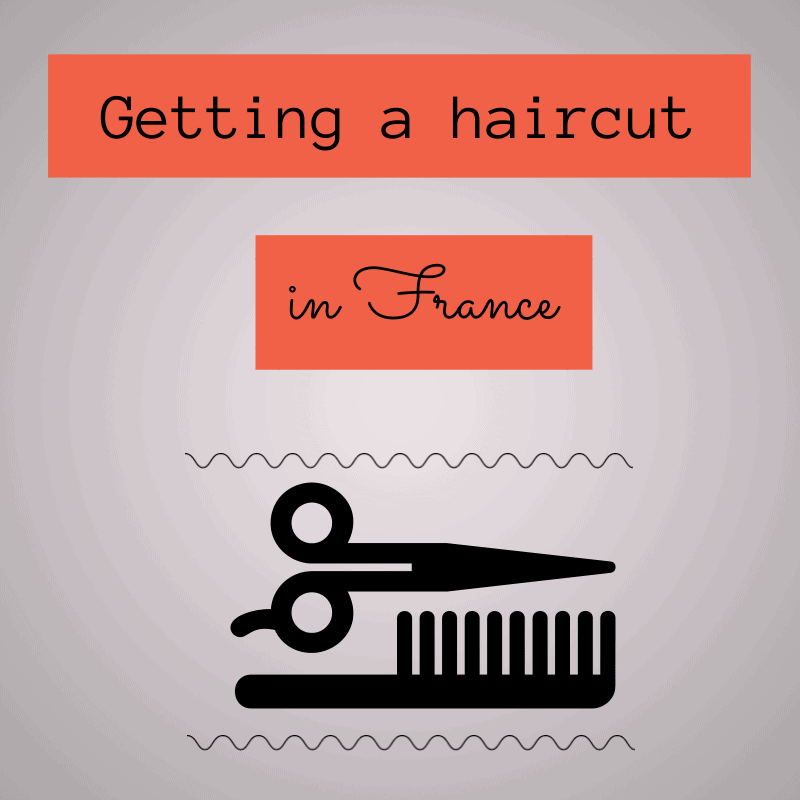 Do you tip in France… for a haircut? When getting a haircut, again, it’s customary to just pay for the cost of the service. 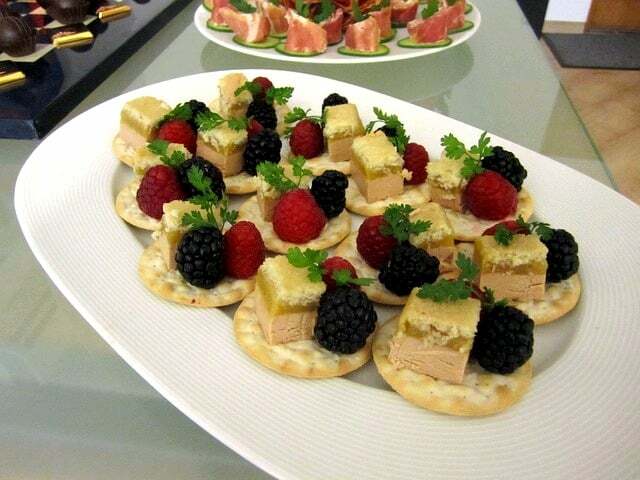 There’s no need to leave anything additional unless you are particularly pleased with the service. A few euros is fine. I left a tip the first time I got my haircut in France and the stylist was very surprised. Appreciative but surprised. Almost shocked. It’s definitely not the norm to leave a tip for a haircut (definitely not 15-20%). Remember, stylists do not depend on tips to live. Do you tip in France… the appliance delivery people? No tip necessary. But if you had a particularly bulky item and they were extra helpful, a few euros is a generous gesture if you feel like it. Tipping in France… for takeout delivery? No tip necessary. But if you had a complicated order or they’re on a scooter and it’s pouring rain, rounding up to the nearest euro or leaving an extra euro or two will make their night. Again, it’s not expected. 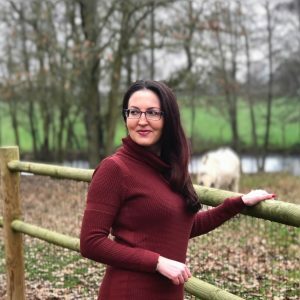 So that’s my opinion about tipping in France and do you tip in Paris, but if you want to know more, let me know and I’ll get the scoop from Tom (if you’re new around these parts, Tom is my French husband who has his own column on my blog called Ask Tom Tuesdays where he answers your questions). So to recap: France does not have a tip-centric culture to the same extent that we do in the US. You’ll find French people tipping less often and a much lesser amount. The French are paid a livable wage, so leaving a tip in most cases is not necessary at all. 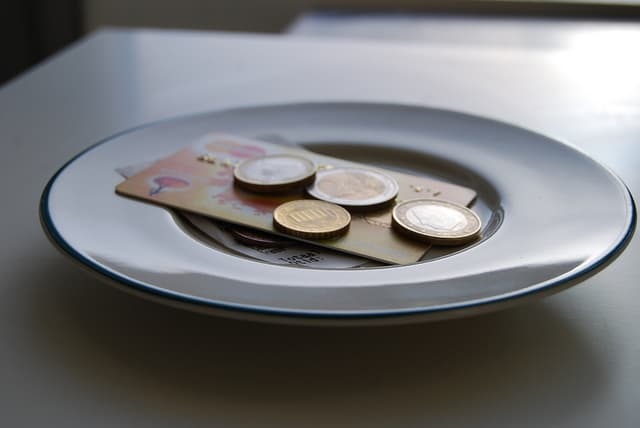 It’s completely at your discretion, and if you do leave a tip when out to eat at a regular restaurant or to say thanks for a job well done, a few euros is a generous gesture and a 20% tip would be unusual. Use your best judgment and do what feels right for you and the situation. So French readers out there, what’s your take on tipping in France?? Curious to hear your thoughts. Do you tip in France? I found this post very useful. We’re buying a house in France in a couple of weeks. I’ve always tipped in restaurants…thought it was the norm. Thanks for the info. Well, it’s definitely not the norm although an extra euro or two (or rounding up) isn’t a problem at all. You’ve been leaving a tip of 15-20%? The servers must love you! 😉 Glad you found the post useful. Good luck with your house! My (French) husband who’s not a cheap person almost never tips, so I follow his lead. Like you I round up a bit if it makes sense (but it always feels weird in a taxi to give them 10c when that’s the difference, but they never expect anything!). Thanks for the tip on the hair salon — I’m always super confused. People seem to tip my colorist by putting a bill into his tool bag at his station, but I don’t see them tip my stylist, who’s the owner. I totally agree on the coffee : always offer coffee to someone working in your house, I would say it’s more important than tipping. And they usually accept. I would say tipping in France is showing you really appreciated the service. I always followed the lead of my colleagues in France and so I don’t think I ever tipped. Since you mention Ask Tom Tuesdays, its been awhile since he has posted and I think his posts are great as well. Any on the horizon? I’ve lived in Brest and Nice. In Brest I never even thought of tipping (as we don’t tip in Denmark either), but when I arrived in Nice I was told that tipping was important and not to leave a tip would be the same as telling the waiter/waitress you didn’t like the service. Oh wow, never heard that about Nice. I wonder if that was advice to tourists or if those native to Nice tip? I’ve never heard of anywhere in France where tipping was the norm. Very interesting! Just wanted to let you know that your article about tipping in France doesn’t seem very accurate, you make it sound like tipping is more of a custom rather than an act of respect and acknowledgement. Shouldn’t you tip depending on the level of appreciation of the service rather than on what they’re used to. Especially since French waiters don’t expect tips from the French but they do expect them from other nationalities since why would you stop tipping all of a sudden just because you’ve crossed a border ? Do you not appreciate the service as much ? nd that would be even more disrespectful since a waiter would then think he had given awful service to not receive what the clients would usually leave in their restaurants back home. Sorry you don’t feel my article is accurate but I consulted with several French people to make sure it was on point. I understand feeling appreciated by customers but if an American in France doesn’t tip 20% (because French people don’t tip 20%), it has nothing to do with appreciation. It has to do with cultural norms. Likewise if a French visitor in the US did what they did at home (no tip), the waiter would probably be a tad pissed off. When abroad, I think you need to respect the culture of where you are. Another point is that French waiters are paid a livable wage for their work whereas in the US they are not, so the tipping culture is very different for that reason. It would be silly to pay a 20% tip in France (what we do in the US) on top of the bill. If the service is appreciated in a restaurant in France it’s customary to leave a small token of appreciation, not 20%. Thank you for sharing your point of view. You do not understand culture difference. Period. I had an experience once whereby I left a tip and it was returned to me. The waiter was offended that I had done so, saying that he was paid a good wage for his professional services. Obviously this is rare… Great article! Oh wow, that wasn’t in Paris, right? I feel like in touristy places, the waiters are used to foreigners who tip out of habit and would happily keep the cash. I bet you were shocked! Yup I try to adhere to the “when in Rome” but I do round bills up and leave an extra couple of euros for a decent meal. It feels wrong as an American to leave nothing! It still feels weird to me to not tip when I’m in Paris. I have a friend that lives in Toulouse that always visits me when I’m in Paris and she has been known to pick up my tips and give it back to me reminding me tips aren’t needed! I know what you mean and it’s second nature to leave something on the table! 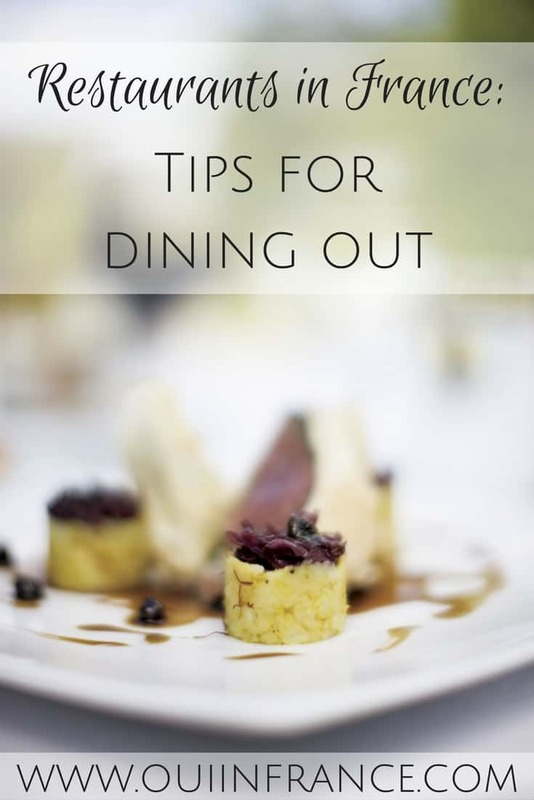 We often tip extra if it has been a group meal (10 and over), due to the extra pressure. I find the tipping culture in the US quite aggressive though and can be stressful for visitors to get right – wish people were just paid a living wage to start with – all clear and up front! I often get asked by visiting friends and relatives what the rules about tipping are. I’ll gladly leave a few coins for great service, and have left good tips for exceptional service. I also tip the pizza guys who come on scooters and delivery men as we live on the 3rd floor with no elevator. I’m British, you may tip in high class restaurants, but not in ‘greasy spoons’ pubs etc. although in a pub you could by the barman a drink. BTW ‘Greasy Spoons’ are good for plainly cooked filling meals at a good price. Don’t be put off by the name. I whenever eat out always tip the waiter. Its my habit. Any how, Love your post. You have shared such a great information for us. Thanks. Do NOT tip. In france, one does not tip. americans and brits please do not tip. The fees/taxes are already included. Also, an old scam in paris is to include a tip IN ADDITION to the taxes/prix service compris–this is fraud. Please triple check all parisian restaurant bills for fraud/scams. City of hustlers. I am french and live in corsica i don’t know the uses in Paris and even in the mainland but here i almost always tip at restaurant or pub. Like you said, of course it is never expected but it is natural to do when it was a good time. As I have doubts about my english i also add it in french. Je suis français et j’habite en corse. Je ne connais pas les usage a Paris ni vraiment sur le continent, mais ici il est d’usage de laisser un pourboire, souvent en laissant la monnaie. Comme vous le dites, ce n’est effectivement jamais attendu et il ne vous sera jamais reproché de ne rien laisser mais ca reste apprecié. This is a very good article for someone like me ! If I hadn’t read this and I were in France, yes I would tip ! It’s a reflex with me because here in America it’s expected. 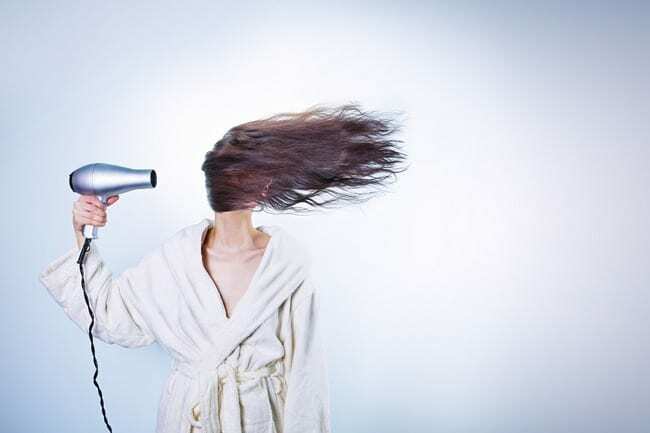 Before I started doing my own hair, the hairdresser always asked me if I would like to leave something ! Customs and cultures are so interesting to me ! Some time ago, I hired a Mexican man to do some landscaping. I took a cup of coffee and cake outside and offered it to him. One day later I found the coffee and uneaten cake safely tucked in my bushes. ! As a kiwi (no one tips in NZ! ), I find tipping such a minefield! I was totally of the mindset that no-one tipped here in France until my French tutor told me that it’s rude not to leave at least 10%! Maybe she was rooting for a tip 😉 I still find it confusing, but normally do what you say – leave a few coins or round up the bill. I generally don’t tip at restaurants or cafés. I try to remember to tip, because my dad always does, but most of the times I forget, and because I pay with my credit card most of the times, I don’t have coins in my purse to tip with. I always tip at the hairdresser’s. When I was a kid I was very proud when, at the end of the haircut, my mom would give me 2 euros to give to the hairdresser. I still do that. Most hairdressers aren’t surprised by my tipping. They’re very appreciative though, so I guess not every one tips them. I don’t tip delivery guys, but I guess delivery isn’t as widespread here as in the US. It’s slightly off topic but we have firefighters, mailmen and the guys who take the trash away who come door to door around Christmas to ask for a little money. They generally give you a calendar (with pictures of fire operations, or kittens haha) and you tip them whatever you want. This generally calls for more money than a typical tip, I’d say between 5 – 10 euros to show you appreciate their service all year round.